Hilton Head Island Golf Tee Times - Save up to 65% and Book Your Hilton Head Island, Beaufort, Bluffton and Coastal SC Golf Tee Times Online at ExploreHiltonHead.com. All Tee Times are Guaranteed through the Golf Channel Online. Tee Times are guaranteed through the Golf Channel Online. We've made it easy for you to SAVE UP TO 65% and book your Tee Times online right here on our website. 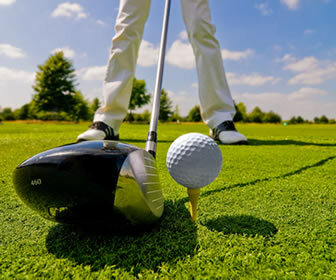 You'll find all the top golf courses located on Hilton Head Island, Beaufort, Bluffton and surrounding areas. Tee Times are guaranteed through the Golf Channel Online and offer a convenient way to reserve your spot on the leading golf courses while getting a significant discount. Enter your location or zip code below to find the lowest golf rates in your area. You can now save money and easily book your tee times at local Hilton Head Island golf courses right here on ExploreHiltonHead.com. Featuring golf courses on Hilton Head Island, Bluffton, and Coastal SC golf courses and country clubs. Your online guide to everything pertaining to the Lowcountry lifestyle. If you'd like to list your business on our website, please contact us below. You can now save money and easily book your tee times at local Hilton Head Island golf courses and country clubs right here on ExploreHiltonHead.com. Featuring golf courses on Hilton Head Island, Bluffton, and Coastal SC golf courses. Another innovative website brought to you by award-winning Greenville SC web design firm Stratatomic. © Copyright ExploreHiltonHead.com and Stratatomic LLC.